Centerstone strives to provide clinicians with the best tools and methods to help their clients reach their health goals quicker and more efficiently. With this goal in mind, the Center for Clinical Excellence (CCE) works to identify and test new innovations for the various programs across the organization. CCE manages multiple project pilots throughout the enterprise across Centerstone’s many programs as a result. Currently, Centerstone is testing a variety of technological resources that can be implemented to support a variety of needs in the behavioral health field. One of these solutions is a computerized diagnostic assessment tool called the TeleSage-Self Report (SAGE-SR). Diagnostic accuracy challenges all healthcare providers. Research indicates 60% of initial diagnoses are incorrect. Research further indicates that from the point of a first inaccurate diagnosis, identifying the correct diagnosis takes close to ten years. This results in poorer outcomes and patients being provided care that does not effectively address their specific needs. 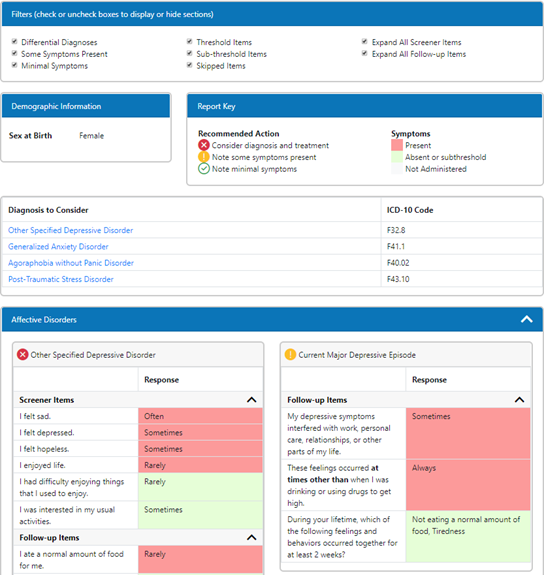 The SAGE-SR is an electronic client self-report assessment that guides users through a series of questions to determine the most likely diagnoses for treatment. 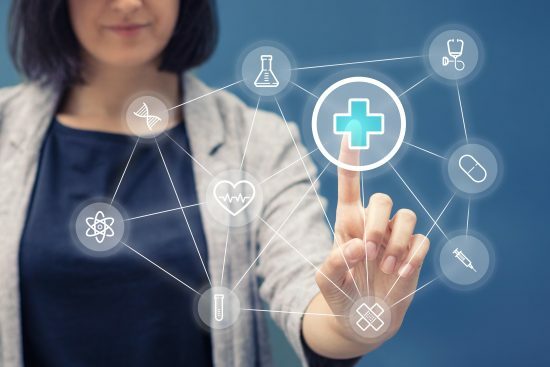 After the client completes the assessment, the system instantaneously provides a report to clinicians with suggested diagnoses to focus on, in addition to the answers to all questions answered by the client. The clinician can then use this report to inform and direct their assessment with their client to reach a more accurate diagnosis quicker and more efficiently. Using the system doesn’t require any special equipment. All that you need is an internet connection, a web browser, and a device to run the web browser. In current pilots, clients complete the assessment on tablets provided by Centerstone in the lobby while they wait for their appointment. Steps are being taken to enable staff to send a personalized link to clients so that they will be able to complete the assessment on their own device before they even come in for their session. Pilots to test the system began launching in March 2018. Four sites have utilized the system so far: Alton and West Frankfort, Illinois and Springfield and Shelbyville, Tennessee. Pilot sites have focused primarily on new clients undergoing their intake process – a total of 352 people so far. The time for clients to complete the assessment ranges between 15 to 30 minutes. Feedback received from both staff and clients has been mostly supportive for the SAGE-SR and utilization of tablets for client self-report. CCE would like to thank all the staff at the pilot sites that have participated. Their work and open communication through the first stages of pilot implementation has been invaluable. Most importantly, they have consistently provided excellent feedback regarding their use of the system that in turn has been passed to TeleSage in order to improve the system to make it more useable for staff and clients. We look forward to continuing to collaborate with the current pilot sites and to expanding the use of the TeleSage system across the Centerstone footprint.